Discover the unique way Kiva utilizes microfinancing to help out the world's poorest business owners get back on their feet. Microfinancing has become one of the most talked-about funding strategies for entrepreneurs who otherwise could not afford to start a business. Despite its power to turn the world’s poorest citizens into proud business-owners, only 8% of the poverty stricken have access to microfinancing outlets. Kiva.org is a website that hopes to change that, bringing small donations to impoverished business owners to help them expand. Kiva users can lend a business person a small amount of money, sometimes as low as $25, and can track the good their money does. 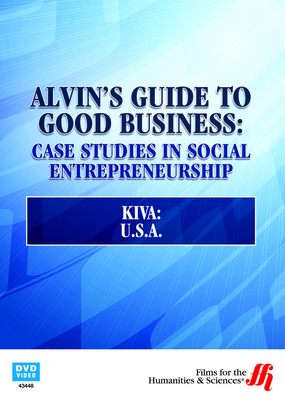 Not everything is sunshine of course, Kiva faces hurdles in the realm of currency fluctuation and perception of business practices, which recently came under fire in the news. This program follows the story of Kiva, how it works, and what the future may hold for this unique microfinancing option for the most poverty stricken.